If you want to get the most out of your aerotow launches and iron out any bumps on landing, then look no further than the Oct/Nov issue of S&G. You can also read the unmissable report from by Jay Rebbeck on the highs and lows of the 2010 Unflapped World Championships in Slovakia. Graham Saw’s colourful Petrel features on our cover. Thought to have been put to military use during the Second World War, this Slingsby T-13 Petrel has been flown at many VGC International Rallies, including at Tibenham this year. Just the third time the event has been held in the UK, this year 99 vintage gliders took part. Martin Simons reports. Aerotowing may look relatively simple, and it is if you are properly trained, but there are some common misconceptions that can make things harder than they look and spoil your day. BGA National Coach Mike Fox sets us straight. At the other end of your flight, Karel Teermat asks could bumpy landings be a thing of the past? His article explains what you need to know for a better understanding of the plateau in lift-curves. The Unflapped World Championships held earlier this year at Prievidza, Slovakia, had its fair share of highs and lows. Team GB brought home a team flying medal. Don’t miss Jay Rebbeck’s report of this challenging mountain competition – an incredible experience, but one which left him questioning his motivation to fly another mountain worlds in a hurry. It is recognised that, for the UK to remain a global player in aviation, we need to be innovative and invest in fresh blood. This investment is taking the form of paid-for flying. 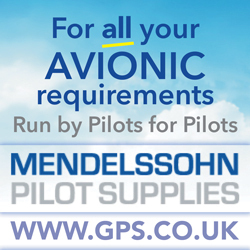 Andy Perkins looks at the sponsorship opportunities available and four scholarship recipients reveal how this ‘free flying’ has benefited their flying. Also in this issue: BGA Chairman Patrick Naegeli praises the unsung heroes of our sport and looks at EASA’s review of comments received to the initial consultation on future medical requirements. BGA Development Officer Alison Randle looks at the perhaps dull, but essential, role of club governance. Colin Field reports on the 32nd Inter-University Gliding competition. 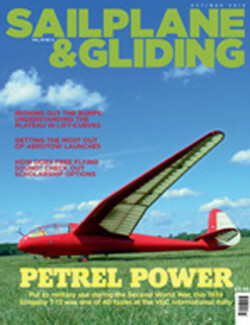 Frank Pozerskis tells the fascinating tale of how he got into gliding. 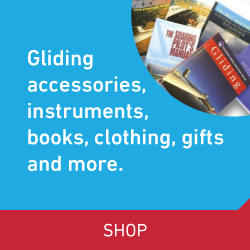 Pat Greer and Mike Newman report on the first World Advanced Glider Aerobatic contest and 10th FAI European Glider Aerobatic Championships at Unlimited level. Ian Easson describes how he gained his NPPL (SLMG) rating. Steve Longland continues his look at Variometers, this time looking at the electronic versions. Jochen Ewald brings news of the SG 38 undergoing a performance evaluation. John Turner explains why he thinks clubs should target the ‘Silver Pound’. Josh Brownlow continues a family tradition with his first solo. Bernard Hicks explains how he made the most of a year-long flying restriction. We’ve some more truly stunning images in the Gallery pages. Last, but by no means least, it’s the end of an era as Platypus retires after 50 years of writing. He will be missed.